The annual tax filing deadline is rapidly approaching and with that comes an increase of phishing and malware campaigns. 2019 brought NetWire campaigns that affected multiple countries, including the US. 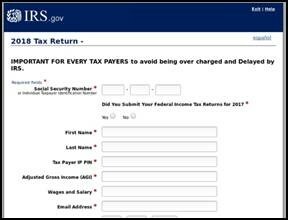 Threat actors use sophisticated social engineering tactics that invoke a sense of urgency and appear legitimate by using stolen IRS branding. Malware payloads have included, but are not limited to, Remote Access Tools (RATs), downloaders, and banking Trojans, while common phishing emails remain persistent. Targets have also expanded to include tax preparation offices and the IRS itself, claiming to be individuals in need of more assistance. Proofpoint researchers agree that, regardless of the payload, actors continue to successfully utilize social engineering techniques. The NJCCIC recommends users avoid clicking on links contained in suspicious emails. If the user is uncertain of the email’s legitimacy, we encourage them to contact the sender via an alternate method. We also advise users who believe their information may have been compromised to notify the IRS, banking institution, and a credit reporting bureau.